I am one of those fortunate souls whose children are good sleepers – as in they slept through the night early and regularly. They took regular naps. My son slept long and hard from the time he started sleeping through the night. Wait, wait. Before you click the X and leave this post feeling annoyed, you should know we still have major sleep problems. You see, my son has night terrors. True, genuine night terrors. The kind of night terrors that are terrifying for the parents and the child. 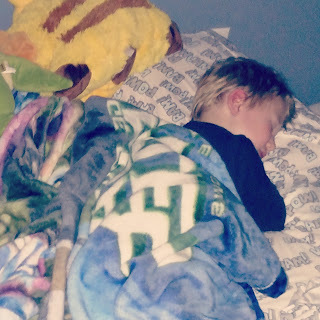 My son started talking in his sleep when he was two years old. At the time, we thought this was cute and funny. I remember laughing about him yelling in his sleep: “Wait! I need my sword! I need my sword!” He was apparently rushing off to join a pirate crew. But, after he turned three, the talking in his sleep took a scarier turn. I still vividly remember hearing his terrifying screams one evening around 9:30pm. I ran upstairs to his room where I found him standing on his bed pulling the sleeves of his nightshirt up his arms over and over. His eyes were wide open and he kept telling me there was something on his arms. He kept insisting that there was something on his arms even as I tried to calmly tell him there was nothing there. I pulled his little body into my lap and he just screamed and screamed. I still have nightmares about that night. Since then, we have learned the differences between normal nightmares and night terrors. 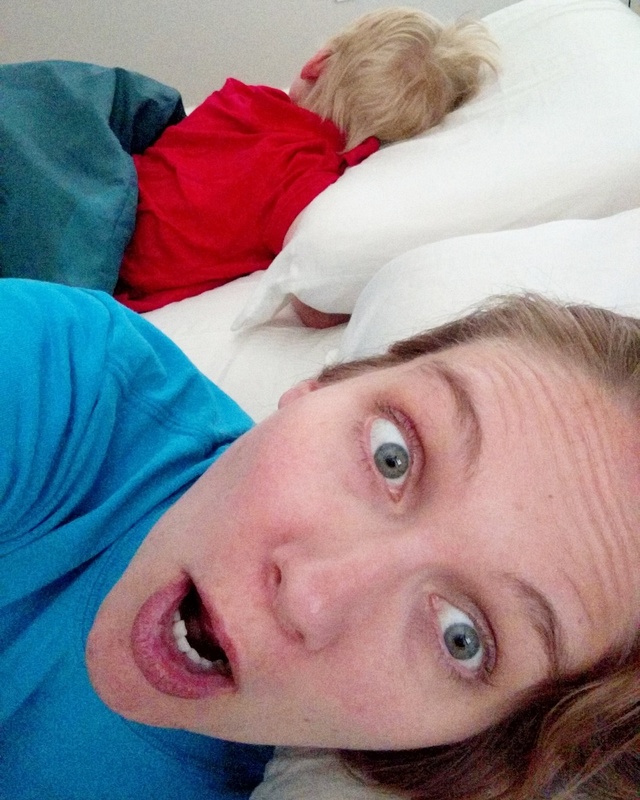 When our son has a night terror, it means he looks awake, but he is not. It means you cannot wake him up. He has to get through the terror on his own. And, he will not remember anything about it the next day. We also learned that night terrors generally occur around the same time of night depending on sleep cycles. They are also triggered. And they are hereditary. In our case, they skipped a generation. We had a couple of rough weeks as we prepared to move. Apparently, even though we tried to calmly prepare our kids for the move, our son must have picked up on our stress because he had a night terror at the same time every evening for two weeks. When you see your child in terror and his eyes are open, but he doesn’t see you or hear you, it is heartbreaking. I have cried many times listening to him. My husband has taken over trying to help him because I have a very difficult time handling it. At this point, our son is 6 years old, and they happen less often. However, we still pay attention to certain triggers: sweets before bedtime, over-exhaustion, and travel. It helps if I can anticipate them before they start. But, as his mom, I still worry. I worry about what is going on in his head and hate that I cannot protect him from this dream world. Just last night, I caught myself imagining him screaming when that wasn’t even the case. Most mornings I can laugh about the craziness of the prior evening, but sometimes I cry. So, as he heads to bed tonight, I will say a prayer that God protects him and guides him into sweet dreams. Sometimes that is all a mom can do.